Embark on this beat 'em up tale of telling your tale good chap! Comb your mustache and dust off that top hat, Foul Play is here and it’s a gentlemen’s adventure in co-op side scrolling, beat ‘em up fun. 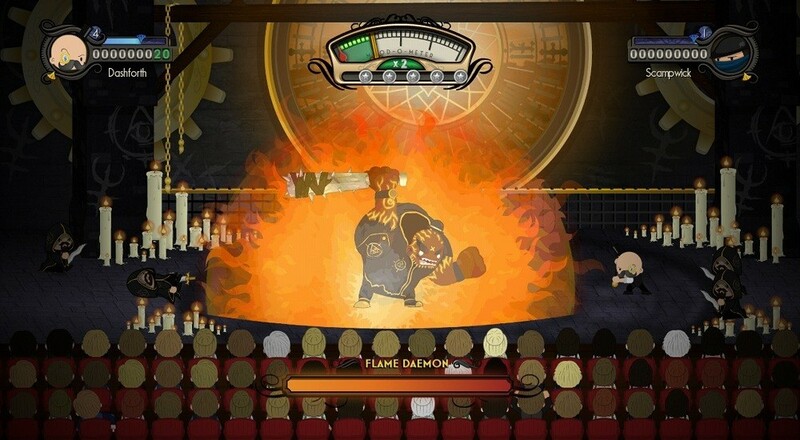 Play as Victorian daemon-hunter Baron Dashforth and his noble chimney sweeping partner, Mr. Scampwick, as they re-enact their greatest adventures in front of a live audience. Foul Play tells the tale of two daemon hunters who are… telling their tale. In front of an audience, two players can embark on an adventure in local or online co-op that takes them across the world, from the deserts of Cairo to the lost city of Atlantis – all while staying on stage. It’s a unique mechanic that adds a bit of personality to the game; something a side scrolling beat ‘em up definitely needs to remain relevant in today’s flooded market. Foul Play features over 40 enemy types from pirates and samurai to unicorn bears with rainbow manes. Players have special moves, or stage tricks, that they can use to attack enemies, and with a full combo system it’s more than just button mashing. 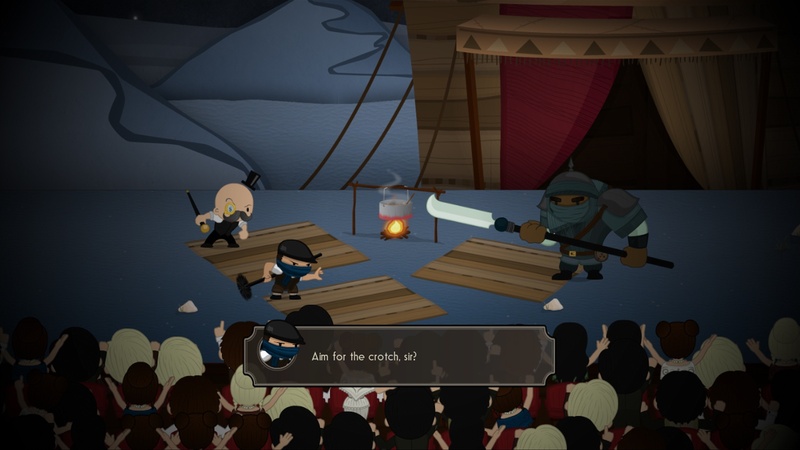 Foul Play is available now on Steam and XBLA for $14.99. Check out our full review of this performance style beat ‘em up and let us know if you’ll be participating in the show.